by Samuel Shem Author · John Updike Author of introduction, etc. By turns heartbreaking, hilarious, and utterly human, The House of God is a mesmerizing and provocative novel about Roy Basch and five of his fellow interns at the most renowned teaching hospital in the country. Struggling with grueling hours and sudden life-and-death responsibilities, Basch and his colleagues, under the leadership of their rule-breaking senior resident known only as the Fat Man, must learn not only how to be fine doctors but, eventually, good human beings. 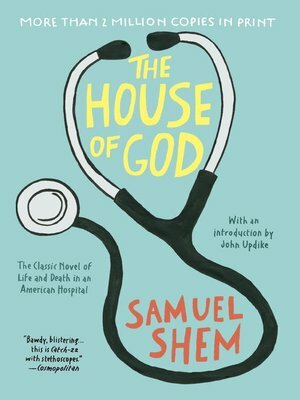 A phenomenon ever since it was published, The House of God was the first unvarnished, unglorified, and uncensored portrait of what training to become a doctor is truly like, in all its terror, exhaustion and black comedy. With more than two million copies sold worldwide, it has been hailed as one of the most important medical novels ever written.